Giant Sparrow, the studio behind last year’s PSN exclusive The Unfinished Swan, has announced that their next project is being developed under the working title Edith Finch. Or I should say, they originally announced the game under the working title Edith Finch, because the announcement has since been altered to read “Unannounced Giant Sparrow Project”. Roles right off the tongue, doesn’t it? 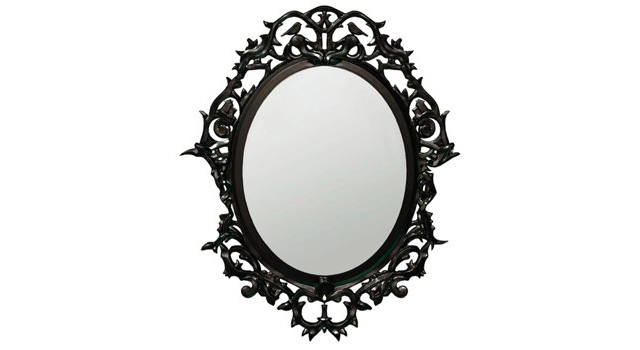 The developer announced the new game on their official blog, along with a lone piece of teaser concept artwork showing an oval mirror with an ornate frame featuring two small birds carved into the top. The mirror appears to be mounted on an (appropriately) all white wall. Or, perhaps the mirror is not mounted at all and the background is simply white. The only way to know for sure would be to take a can of black paint and splash it all over the actual piece of concept art. At any rate, no details were revealed about the concept artwork or what Edith Finch (I mean, “Unannounced Giant Sparrow Project”) will be when it is finished. According to the developer, this lack of initial information is very much by design. So there you have it. Giant Sparrow is working on a project that might still secretly be called Edith Finch. Under normal circumstances I would not be so excited about such a lackluster announcement, however, Giant Sparrow earned a lot of blind faith from me with The Unfinished Swan. Whatever this game turns out to be, count me in.